Dipika Das recently presented at the Seeds Of Change 2019 conference in Canberra. Seeds of Change 2019 was an excellent opportunity to learn from about 300 participants, 177 presentations from 45 different countries who are working in the field of Gender and Agriculture. Dipika presented on “Gendered challenges of bargaining in agricultural value chains in the Eastern Gangetic Plains”. ACIAR featured a biography of some presenters and facilitators including Dipika in their webpage: ACIAR’s people at Seeds of Change. It is also followed by an interview. A TED talk posted by Santosh Mali which highlighted the importance of communication and personalising issues around climate change and its impacts on those less fortunate. A Journal article shared by Michael Scobie, which talks of the paradox of irrigation efficiency and how to identify real water savings, realised through improved irrigation performance. 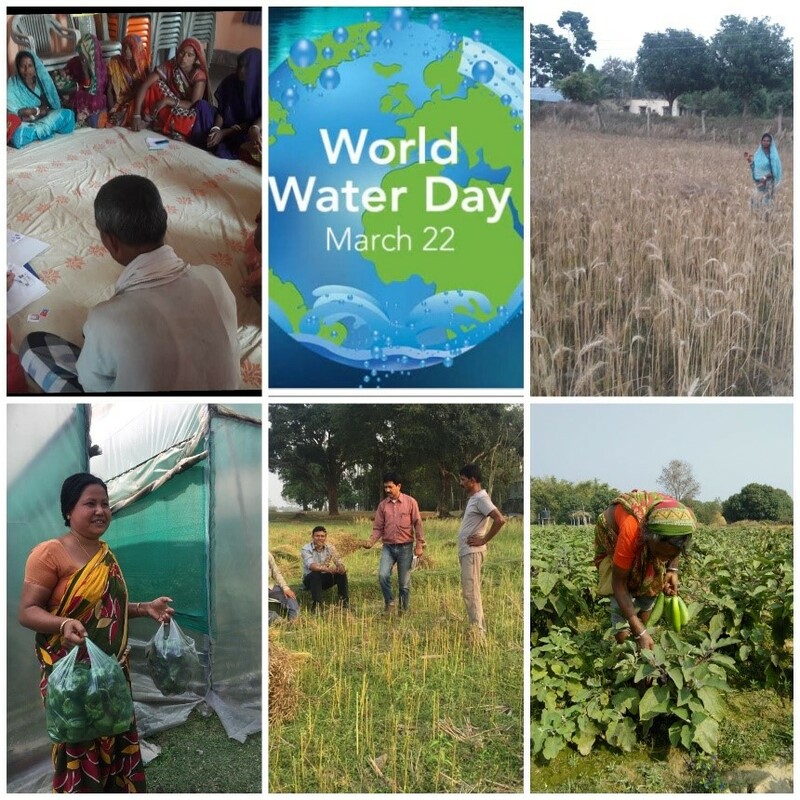 We also celebrated World Water Day. I include a few pictures over last two weeks shared from our field sites (from top left moving clockwise). I look forward to our Review meetings in Kathmandu 11th to 13th April and field visits to Saptari to discuss with local farmers and stakeholders their experiences – Erik Schmidt. You are currently browsing the DSI4MTF blog archives for April, 2019.